Pile your family into the car and drive through this eye-catching, enthralling, 2 1/2-mile-long light show that returns to Jones Beach. 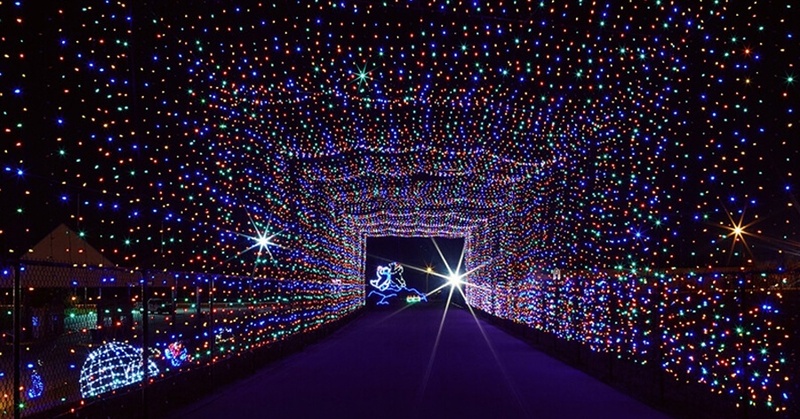 There’s an "Enchanting Tunnel of Lights," animated figures, and holiday characters. New this year is a holiday festival village, where families can walk around and enjoy cocoa, s’mores, holiday music and movies, a hay maze, and pictures with the big guy himself, Santa. The Girl Scouts of Suffolk County and County Executive Steve Bellone have joined together to present the Girl Scouts' beloved light show for the fourteenth holiday season. This year, the show will include more lights and displays than ever before, with proceeds supporting girls' programs. For more information call 631-543-6622 ($20 per car). Frosty and friend Jenny are united again in their adventures as they try to save the town of Chillsville. Kids in the audience help the duo in their quest to stop evil Ethel Pierpot from melting all the snow. Take a stroll along Northport’s picturesque Main Street after the show. For further information, call (631)261-2900 or see engemantheater.com. An hour-long musical is just long enough for the littlest theatergoers. Celebrating its 14th season, Barnaby Saves Christmas follows the journey of the little elf and his reindeer as they set off to save Christmas, ultimately learning the true meaning of the holiday season. After the show, enjoy the many restaurants and shops that line the streets of nautical Port Jefferson. For further information, call (631) 928-9100 or visit www.theatrethree.com. For three weekends in December, visitors can enjoy this indoor, walk-through holiday light show at the Holtsville Ecology Site. There are raffles, and children can have their picture taken with Santa. All proceeds help to take care of the more than 100 animals that live at the site. Call (631) 758-9664 for further information. 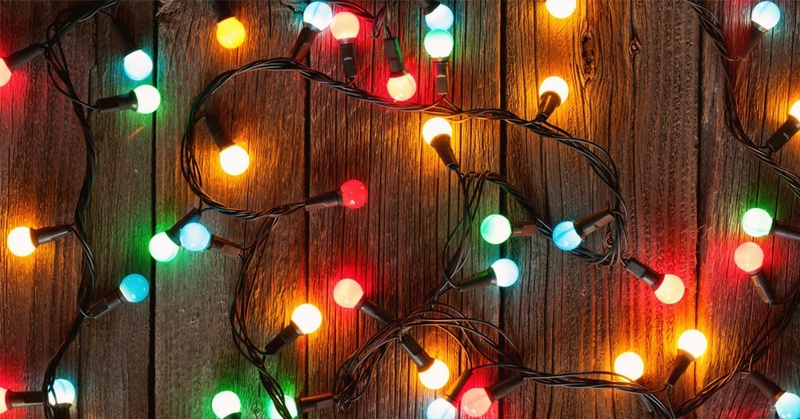 West Sayville's Dutch heritage and holiday traditions will be celebrated with a holiday lantern tour, ornament crafts, face painting, live entertainment, and tasty refreshments at the Long Island Maritime Museum. Reservations required. Call 631-HISTORY. ($5 per person). Free. Come down and check out the antique cars, fire trucks, floats and bicycles wrapped in Christmas lights for this festive holiday parade. Floats line up at the Sands parking lot at 5pm and step off at 6:30pm. There will be parking available at the Long Beach Catholic School lot, with shuttle buses to the West End. For further information, call (516)432-6000. Coe Hall at Planting Fields Arboretum will be decorated for the holidays and will have live entertainment perfect for both the young and young at heart. Call 516-922-8678 for more info. Dozens of vendor booths will be packed into the Cradle of Aviation for a full day of chocolates, specialty treats, and live demos by celebrity chefs. ($10 per person). $22.95 - $49.95 per person. Families will be able to enjoy a Santa brunch at the Long Island Aquarium on December 10th. The brunch also includes admission to the aquarium. Call (631)-208-9200 for more info. This event, coordinated by the Chamber of Commerce, is intended to bring the community together for one night to show unity and support for a worthy cause. This year’s proceeds will go to the Jeannette Feminella Scholarship fund, in honor of Commack Road Elementary’s beloved principal who passed away this year. Please purchase your luminary kit ($10) at Nook and Cranny,469 Main Street, Islip or Mojo Printing, 169 Islip Avenue, Islip. $35.00 per person.Trolls guide youngsters on a magical nighttime journey that departs from the town dock on Lower Main Street. The trip climaxes at the Long Island Science Museum in Manhasset with a campfire, cocoa, and music. Reservations and payment are required in advance. Go to www.eventbrite.com. Experience how the holidays were celebrated on Long Island in the 19th century. Walk among the historic houses, barns, and buildings at Old Bethpage Village Restoration. Enjoy traditional music, performances, storytelling, a vintage model train show, and a roaring bonfire. For more information on this and other events there, see www.obvrnassau.com. Grab your coat, and maybe your boots, and take the whole family to the Jones Beach Nature Center for an end-of-year beach hike. 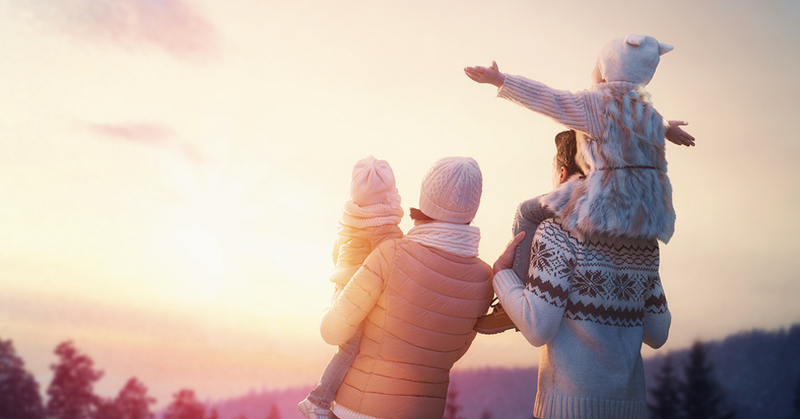 It’s a great way to work off some of those holiday calories, get some fresh air and exercise, and say goodbye to 2017. Phone (516) 780-3295 to register (required). International woman of mystery Michele Ferrari is a voracious reader of just about everything. Striving desperately not to become her neighborhood’s “Crazy Cat Lady” (it may already be too late! ), she has been a resident of Islip for over 25 years, with a lot of Buccaneer’s paraphernalia to prove it. She enjoys laughing at absurdities and introducing the right reader to the perfect book. Click here to subscribe to Michele Ferrari's blog posts!